With the weather getting chilly and all the leaves falling it's hard not to just curl up on the couch with a cup of hot cocoa and your favorite sweater, but we don't have time to waste! 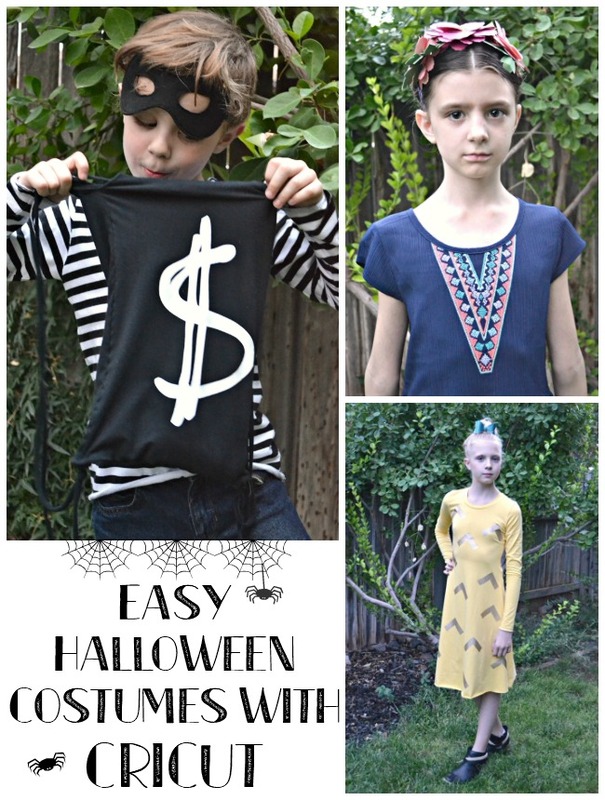 In case you are like me and have a good gaggle of kiddo's, here's a few super easy DIY costumes you can make! First up is the devious Bank Robber! 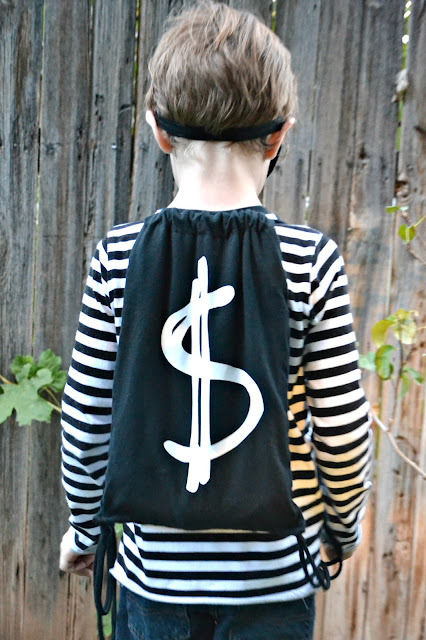 You can grab the Mask image in Design Space and the Dollar sign font is "Chicken Scratch". 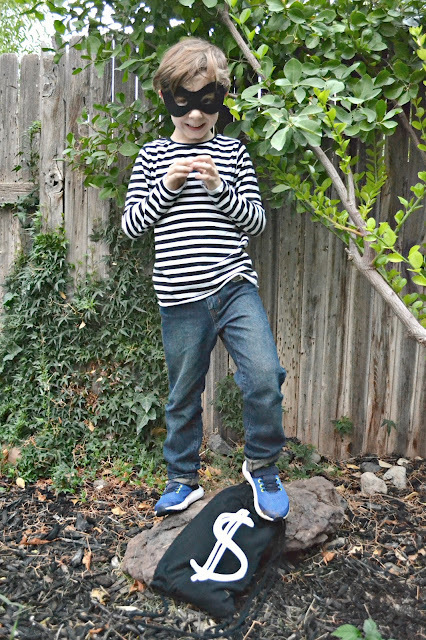 If you're planning on sewing, grab some Black & White knit and some Black solid knit from Riley Blake Designs, and the Rowan Tee by Titchy Threads and get started! The best part about this shirt is that they can wear it all year round! 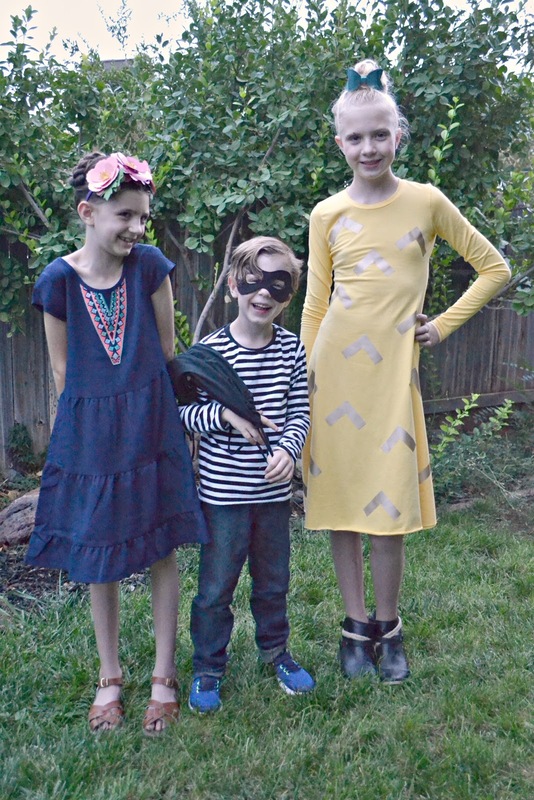 Next up is the amazing Frida Kahlo. 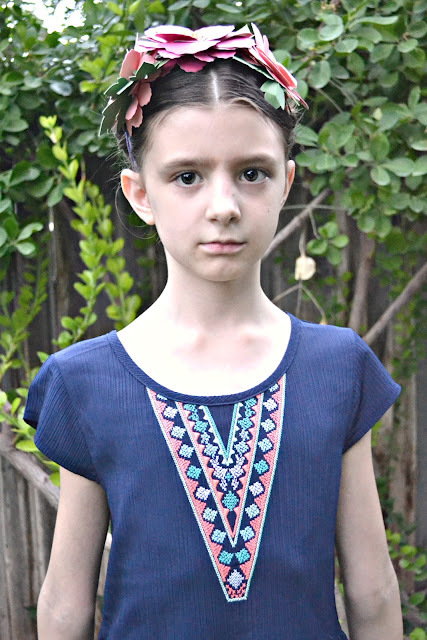 For this look you just need cardstock and a headband! I used the Sorbet Sampler Pack and Jewels Sampler Pack. 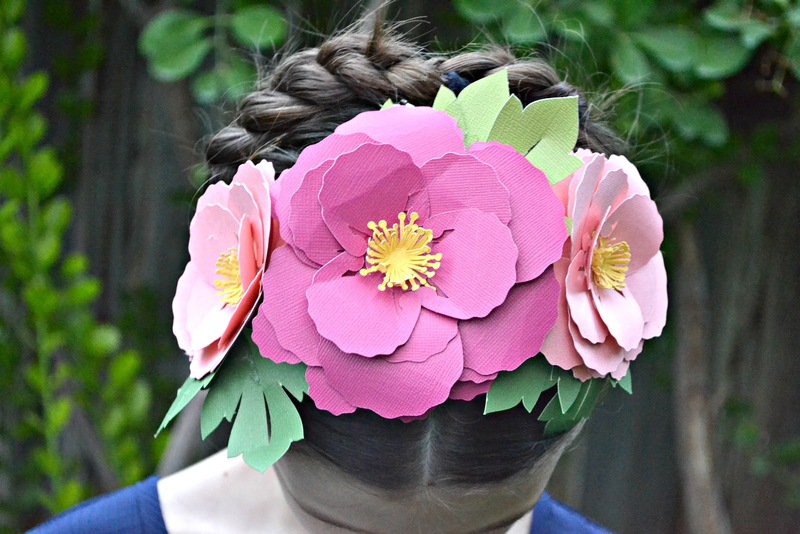 The flowers would also look amazing in Crepe Paper or Felt! I used the Peony Flower Crown found in Design Space (and part of Account Access). The last DIY costume is a sweet and sassy pineapple! I used Gold Iron-on and made some pineapple cutouts in design space. 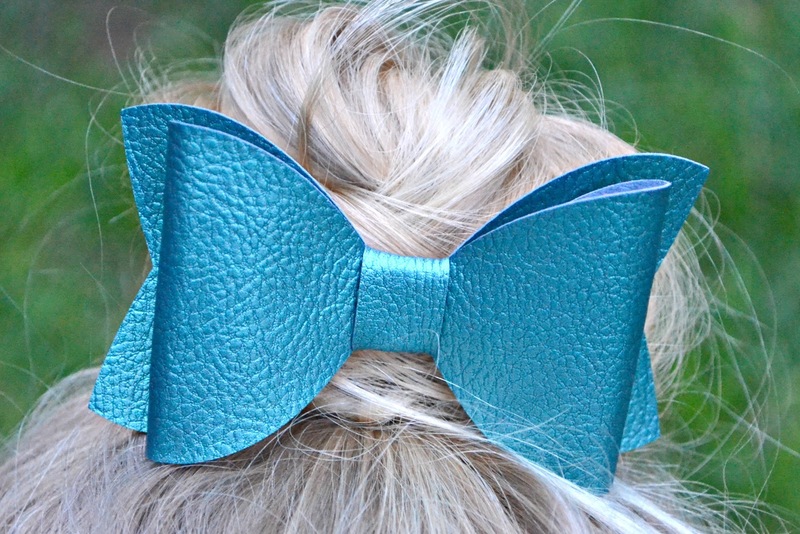 Then I made a bow to go on top out of Pebbled Faux Leather and the bow design. I did blow the bow up so the back was 3" long by 2.5" tall. 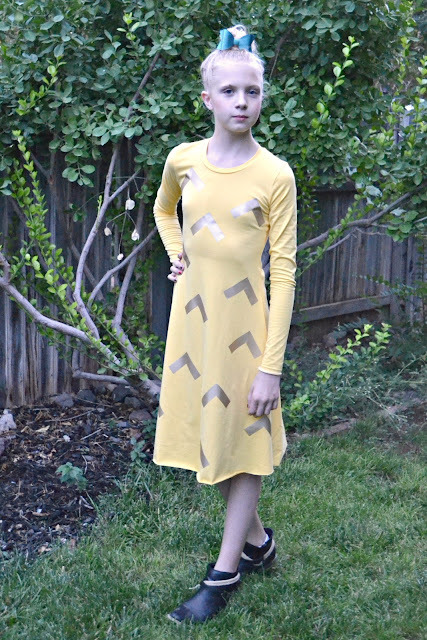 If you plan on sewing this dress up, I used the Uptown/Downtown dress by Sew Straight & Gather in Solid Yellow knit by Riley Blake Designs. All these projects were made using Cricut products on the Cricut Maker and using the Fine Point Blade. I'll be sharing more easy DIY costumes through out this month along with my kids final costumes, so stay tuned! !